WE HAVE A RANGE OF DIY ELIQUIDS AND ACCESSORIES. THESE INCLUDE EVERYTHING YOU MAY NEED TO MAKE UP YOUR VERY OWN E-LIQUID. 100% VG BASE, 100% PG BASE, 70/30 VG/PG BASE, NICOTINE BOOSTERS AND ELIQUID CONCENTRATES/FLAVOURINGS. ALL OUR RANGE HAS BEEN SOURCED FROM THE VERY BEST IN THE BUSINESS TO ALLOW YOU COMBINE AND SATISFY WHATEVER FLAVOUR AND STRENGTH YOU REQUIRE. BEAR IN MIND, WE BELIEVE THE CHEAPEST OF ALL INGREDIENTS (BASE, FLAVOURING AND NICOTINE ) ARE UNLIKELY TO PRODUCE THE BEST QUALITY E-LIQUID. THIS IS WHY WE ONLY SOURCE THE BEST IN THE BUSINESS AT COMPETITIVE PRICES TO GIVE YOU THE BEST BASES, NICOTINE BOOSTERS AND FLAVOURINGS WE CAN FIND. PLEASE KEEP ALL DIY PRODUCTS AWAY FROM CHILDREN AND PETS IN A SAFE AREA! Sometimes used to lower the nicotine content in a nicotine base or create a different PG to VG ratio in a VG/PG base. Can also be used to dilute/decrease the flavour content of any flavour base or concentrate. These bases are high quality and used by Chemnovatic to produce their own e-liquids. For professional use only. We have 100% VG, 100% PG and a 70/30 VG/PG Mix in 100ml bottles to choose from. Molinberry flavours have been created using the wide experience and vast knowledge of two companies: Chemnovatic and Sobucky Poland. Knowing the global market and understanding the demands of individual and business customers perfectly, both companies went beyond expectations and created one of the best flavour ranges in Europe including a range dedicated for the electronic cigarette market. Nicotine boosters are sometimes used by DIY users to increase the nicotine content in a Nil (0mg) or low nicotine base concentrate to create an overall higher nicotine base. 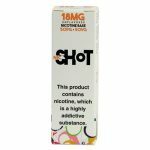 ‘Nicshots’ nicotine (9mg/ml and 18mg/ml) can be vaped straight as they are or added to flavours. These 10ml bottles are TPD compliant. 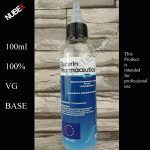 We use a 50/50 VG/PG base ratio produced by Chemnovatic. All nicshots are tasteless so as not to interfere with any flavourings. We have a range of empty bottles to help with you DIY eliquids. Bottles are in sizes of 30ml, 50ml and 100ml. 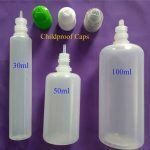 All are clear, easy squeeze, have childproof caps for safety and long thin tip can be found with each bottle. Also available are 10ml needle bottles for easy filling, eliquid injectors for precise measuring and organic cotton sheets for wicking. Please keep all DIY products in a safe area and away from children and pets.